I'm in this field to help people tread more lightly on our planet and to minimize the negative impact of our built environment. Kat Maines offers an understanding of how the built environment operates at human scale. Her mission is to leverage the immense impact of mobility and transportation to create healthier and more sustainable communities. Kat is a skilled communicator, whether in writing or in visualization. 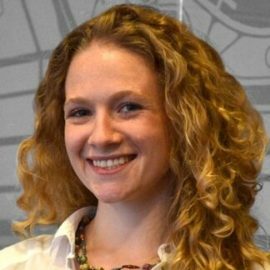 She has experience creating plan view illustrations, cross sections, and renderings that make change understandable and approachable. Her other technical skills include research, data collection, cartography and spatial data analysis, technical writing, policy analysis, and implementation strategy. Kat has worked with clients across the country, from large urban areas like Atlanta to small towns like Albany, GA.